Oh man, do I feel bad for that kid. don't feel bad, he's immaculate! "How can you call your son Jesus????" It's actually a common name in some countries. I've heard of ordinary people named Jesus. 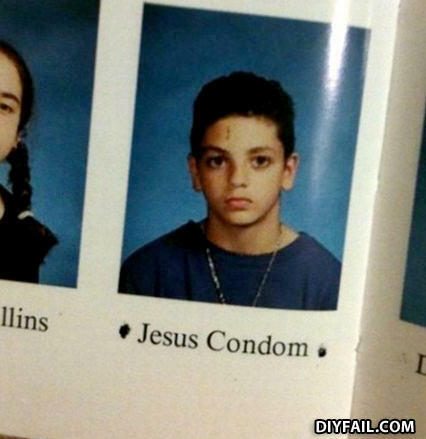 The last name "Condom" is the true fail here. ah yes, named after the drunken phrase said by his father moments after his conception. How can you call your son Jesus???? What happened to the lady living in the present, crossing a street? Let's watch her and find out.